The cybersecurity landscape grows more complex every day. The average cost of a data breach has risen to $3.86 million, and the risk of being breached has likewise grown. Cyber criminals – whether malicious insiders, amateur script kiddies, or organized outside actors – are developing smarter, more advanced attacks every day, and businesses are struggling to keep up. At the same time, the resources available to prevent those attacks seem to be dwindling, with the top-ranked research firm Cybersecurity Ventures anticipating 3.5 million unfilled cybersecurity positions by 2021. The lack of information security resources available for procurement by private companies has led to the rise of security-as-a-service (SECaaS). SECaaS enables businesses of any size to assess and protect against the most pervasive cybersecurity threats. Understanding cybersecurity foundations is key to building a resilient infosec strategy. 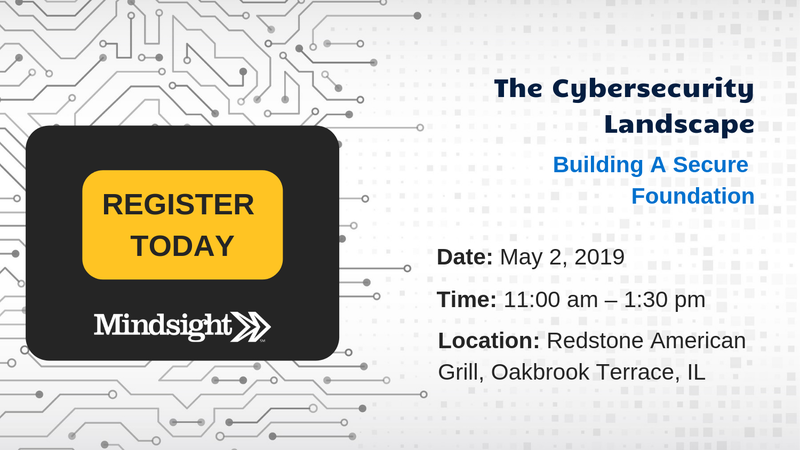 Join us May 2nd for the second event in our Cybersecurity Series. Security-as-a-Service is the extension of regular technology team tools by proxy of an expert, security-focused team with a global perspective on the complex field of cybersecurity. Only in the last few years has information security moved beyond an in-house, four wall approach. Previously, cybersecurity and disaster recovery meant practically the same thing, and IT professionals categorized security with firewalls, backups, and secure perimeters. But anyone with a pulse on the pace of technology knows that securing information and data is far more complex than simply installing and configuring a firewall. While cybersecurity remains focused on protecting information assets of the business, the threats to data and remediation methodologies occupy an industry all their own. The moment-to-moment nature of cyber crime has led to a rise in point-solution products. These security tools are marketed as “solutions”, when, in fact, they only combat one potential threat. The complexity of attacks facing organizations today requires a comprehensive, data-centric security approach that accounts for the layers of security and highest potential risks. Identifying the right security-as-a-service option isn’t easy. Trust must remain at the heart of the relationship. Trust the security servicer is truly an expert in their field. Trust they care about your business. Trust THEY aren’t a threat. That’s a lot of trust for an industry where “zero-trust” is a buzzword. First, find an expert team with the right certifications and expertise to get started. CCIE R&S: The Cisco Certified Internetwork Expert Routing and Switching certifies an expert-level engineer in planning, operating, and troubleshooting complex, converged networks – like those most businesses have today. Security Practitioner: Various certifications (SSCP, CASP+, S-ISP, etc.) capture the validity of those with expert-level competency in risk management, business security, and organizational security operations. Certified Social Engineer Pentester: A pentester or penetration tester, is authorized to demonstrate and document a flaw in a security architecture. Social engineering is the manipulation of the human layer to infiltrate a network by use of target reconnaissance. Since humans occupy the largest threat to security, via negligence or malicious intent, understanding the human risk to business is invaluable. CISSP: Certified Information Systems Security Professionals demonstrate an advanced-level knowledge of information security and is offered by the International Information System Security Certification Consortium, known as (ISC)^2 (“ISC squared”). Bonus – Certified Ethical Hacker (CEH): In reality, certifying security bodies understand cybersecurity from the business’ perspective. To be truly prepared and protected against today’s most prevalent threats, businesses should partner with organizations that demonstrate an understanding of the hacker’s perspective. After all, hackers are the ones preparing to infiltrate your business. “Ethical hackers” are experts in the tools and methodologies employed by “Blackhat” hackers – those with nefarious purposes – and fall under the “Whitehat” hacker label – those who use their expertise to help and protect individuals and businesses today. Not every business is the same, and though data is the heart of almost every organization today, the specific data each business needs to protect is different. As the risk to the business moves into the cyberspace, CIOs, CTOs, and CISOs are more and more involved in the executive discussions regarding risk management. Identifying the most important data assets is the first step in developing a resilient cybersecurity strategy. Targeting those top ten threats is key to developing a hardened cybersecurity solution with a security-as-a-service partnership. A true partner will give you insight into what threats are most relevant to your business and only then propose targeted solutions that meet those risks head-on. Not only does the partner you work with to provide security-as-a-service need to be experts – with all the certifications and touted experience that comes with that – but they also need to demonstrate a commitment to your business, not theirs. With Mindsight, we know that trust in this zero-trust era is hard-earned, and we are committed to gaining and proving the validity of that trust as many times as needed. Come meet us and our experts in person. 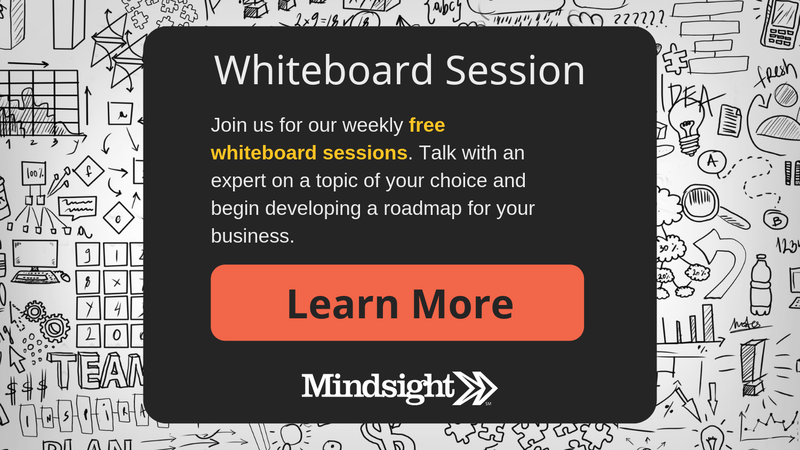 We host regular cybersecurity-focused events and weekly whiteboard sessions where you can learn and discuss the prominent risks, methodologies, and misconceptions relevant to you. Contact us today to discuss how you can develop a resilient cybersecurity strategy.